In context: Apple has been providing song lyrics for Apple Music since iOS 10. It has several data sources from which it retrieves words to songs including in-house human editing and curation. Today Genius announced that it has partnered with Apple to provide it yet another source for lyrical data. 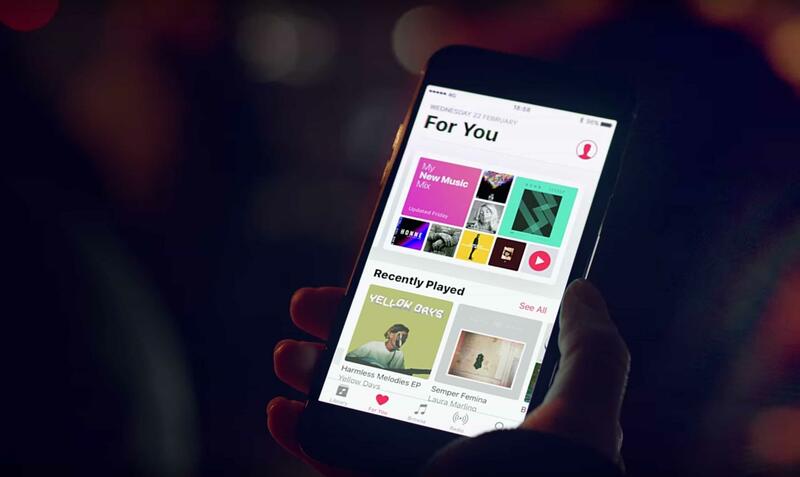 As part of the deal, Apple is allowing Genius to embed Apple Music players into its website and mobile apps. The player by default will play 30-second clips of songs. However, Apple Music subscribers will be able to login to the Genius app or website with their account credentials to listen to full-length songs on the player. This is not the first time Genius has joined forces with a streaming music provider. The company currently provides lyrics and trivia to Spotify tracks. Unlike its competitor, Apple feels the trivia is unnecessary and will only be utilizing Genius’ database of songs. Apple has never advertised its sources for lyrics in the past, and it does not intend to start. Just because the partnership has gone public does not mean that users will begin seeing the Genius logo popping up in the Apple Music app. For current users of Apple's app, it will be business as usual. For Genius users, they will now see the option to log in to Apple Music. Genius says that it has the lyrics to “thousands” of songs, but does not specify how many thousands. Apple has a catalog of over 50 million songs. However, 95 percent of its subscribers only listen to a small collection of a few thousand popular tracks. Genius should presumably be able to provide data for a good portion of those.